Recently, Cortney and I participated in a marriage retreat of sorts through our church. One of the topics we talked about was family. We were asked to reflect on our family traditions growing up and whether or not we were super affectionate or close. Cortney and I had some great conversations and it did shred light on what we both bring to the marriage in terms of sharing and hugging whatnot. While Cort and I were brought up in similar families–both middle class, Christian, three kids (one girl, two boys), and we are both the oldest–there were enough differences in traditions that we were able to blend them a bit for our own family. I was trying to decide what family on TV we were most like, but honestly we have bits of many families. Let me see if I can break it down. I guess it’s not a shock to say I am an over-sharer. But what is interesting is that is not what my family was like growing up at all. In fact, I routinely made my mother blush and my father sputter with what I would say. Cortney is the exact opposite. After more than twenty years of knowing him, I am still finding out new things because he doesn’t bring stories or topics up until he feels like they apply with what is going on or what we are talking about. I am more of the “if I think it, I blurt it out” type. I guess that would make our family part Bluth. My Eddie also shares whatever he is thinking, but it’s usually more naive. I mean, he is only seven, after all. But he is just so sweet and trusting. He wants people to be happy and he truly believes the world is a good place. This would make our family a little Kimmy Schmidt too. As I said before, Cortney is the strong silent type. But he knows how to get down and loves good music. He is also very handsome in a suit and totally smooth. So he brings a little Justin Timberlake to the family. My two Littles: Charlie and Alice love to shake their groove things. Ok, let’s be real: we all love to do that. We all love the Beatles. 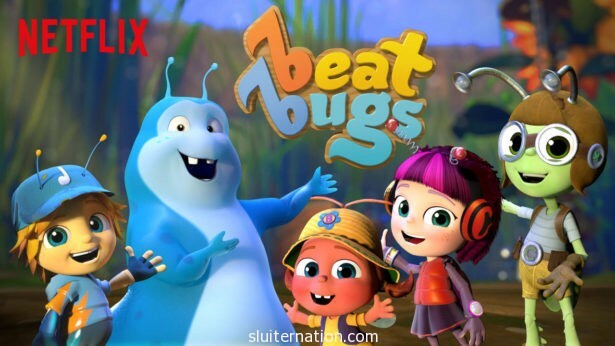 We all help each other out, and we all love a cute story line, so that makes us a little Beat Bugs too. Other shows you don’t want to miss: Paddington is now available and a totally cute family favorite. And of course, unless you’ve been under a rock, you know that Gilmore Girls: A Year in the Life is available. According to Facebook, quite a few of you binged over Thanksgiving weekend. Good for you! So what TV or movie family do you most identify with? Or is it a mix like us? Disclaimer: This is not a sponsored post. 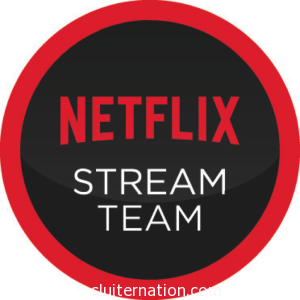 Netflix provides my family with streaming service and a device to watch it on in exchange for posts about what we watch. All opinions are our own. My kids love beat bugs too!